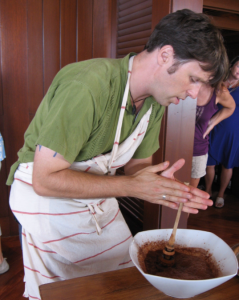 Don’t Miss our Cacao Seminars, Culinary Demos and more! Original Hawaiian Chocolate Factory tour will be held at the plantation located approximately five miles south of Kailua Kona. The tour is from 8:30 am-9:30 am. Would you believe that chocolate grows on trees? Enjoy a cacao farm tour at the nation’s first tree-to-bar chocolate plantation. The Original Hawaiian Chocolate Factory was the first company to grow, hand-pick, sun-dry and process only Hawaii-grown cocoa beans into chocolate. It’s a beautifully scenic one-hour easy walking tour of the orchard and factory. Sample OHCF’s own dark, milk and criollo handcrafted chocolate “plumerias.” Learn about every step in the chocolate making process, from growing the trees to molding each handmade, delicious bar. Afterwards, visit the Chocolate Shoppe to see the range of final products. 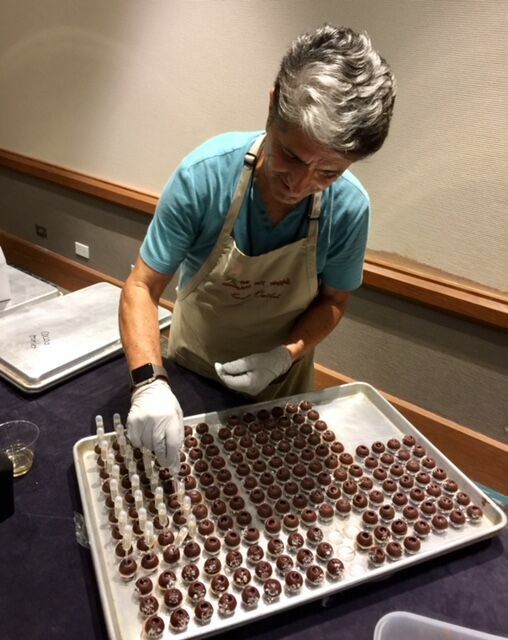 All farm and chocolate demonstration classes will be held at the The Westin Hapuna Beach Resort in the break out rooms near the ballroom. 1 pm -1:45 pm: “Get Rid of What’s Bugging You” by Eli Isele, UH-CTAHR assistant extension agent for sustainable edible crops production. Based out of the Komohana Research and Education Center in Hilo, Isele works with organic and sustainable growers of cacao, macadamia nuts, breadfruit, taro and vegetables. 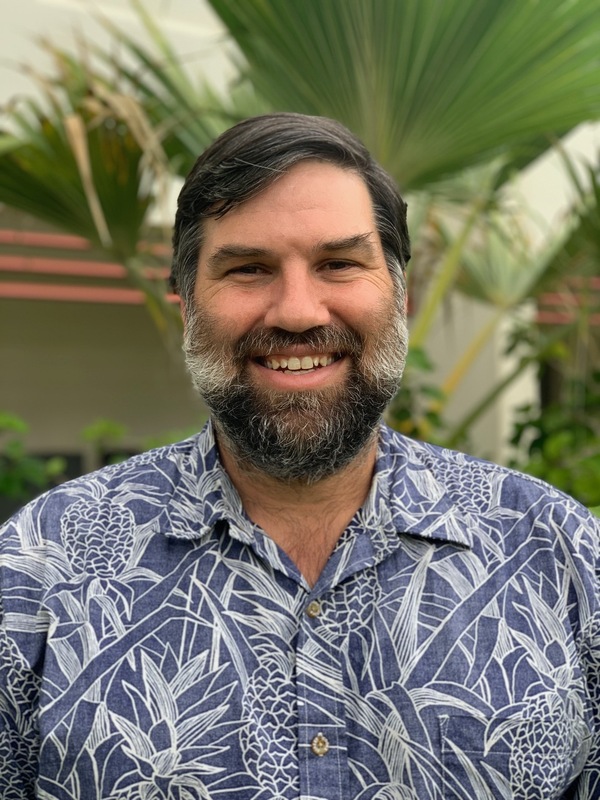 He will address pest management of the Chinese Rose Beetle Adoretus sinicus, which feasts on young cacao leaves, and share the results of the recent Hawai'i Cacao Survey. 2:00 pm- 2:45 pm: “Cacao Research Updates" by Dr. Alyssa Cho, UH-CTAHR assistant researcher in sustainable farming systems. 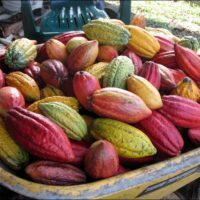 Also based at the Komohana Research Center at UH-MANOA, Dr. Cho works closely with growers and industry organizations and leads projects involving cacao post-harvest handling and processing, propagation and varietal evaluation. 3:00 pm - 3:45 pm: “Chocolate Making and Micro-Terroir” by Dr. Nat Bletter of Oahu's Madre Chocolate tells why location is an important component for determining flavor in tree-to-bar chocolate making. The founder of Madre and an ethnobotanist, Bletter researched equatorial medicinal plants such as cacao, which spurred him to start a traditional-ingredient, high-antioxidant and artisanal chocolate company. Tickets for ALL farming seminars are $40 in advance or $30 EACH seminar at the door (save $50 by buying ahead). Tickets for are $85 for TWO or $50 for one. 9:30-11 a.m. "Wow Guest with this Plated Dessert" Demonstration by David Brown, chef instructor at Oahu’s Kapiolani Community College. Chef will create Hawaiian Kokoleka, a panna cotta with milk chocolate ice cream, exotic cacao nib consommé and fried lychee. A 40-year-pastry professional, Brown served for two decades as executive pastry chef at the Hilton Waikoloa Village and was the chef/owner of a restaurant there. During this tenure, he competed in national and international culinary salons, where he earned a spot on the 1993 U.S. Coupe du Monde event in France. Prior to coming to Hawaii, he was a pastry chef for the Hyatt Hotel Corp.
11:15-12:45 p.m. Demonstration: "Chocolate Crystallization using Couvertures" by Chef Alicia Boada, the West Coast Technical Advisor for Barry Callebaut Chocolate, whose brands include Cacao Berry, Callebaut and Mona Lisa. Join Boada as she highlights the importance of proper crystallization through tempering methods, with contemporary tablet and mini bar applications. She will feature the Cacao Barry Purete line of chocolate couvertures from sustainably sourced1` and 100% traceable cacao. Boada is highly credentialed culinarian, being certified as an executive pastry chef, culinary educator and culinary administrator by the American Culinary Federation. She is also the founder of the Founder of the Jean Banchet Awards for Culinary Excellence, the Academy Awards of Chicago's culinary scene. 1-2:30 p.m. Demonstration by Stéphane Tréand MOF. Stéphane Tréand MOF of The Pastry School offers tips on how to add artistic flair to your chocolate creations. Tréand’s prestigious Pastry School in California instructs students of all abilities in the pastry and baking arts. The finished creation will be a key feature at the Gala. Stéphane Tréand MOF, and owner of The Pastry School, is a 40+ year veteran of the food industry, Stéphane Tréand’s pastry journey began in Northern France when his father sent him to work at the local bakery. Stéphane held a variety of positions at several bakeries and pastry shops in the Paris area where he learned all of the fundamental basics of French pastry and bakery. In 1989, Stéphane opened his own patisserie tearoom “Pâtisserie Tréand”, located in Brignoles in Provence, South of France. Already a food lover, he focused on the quality products. 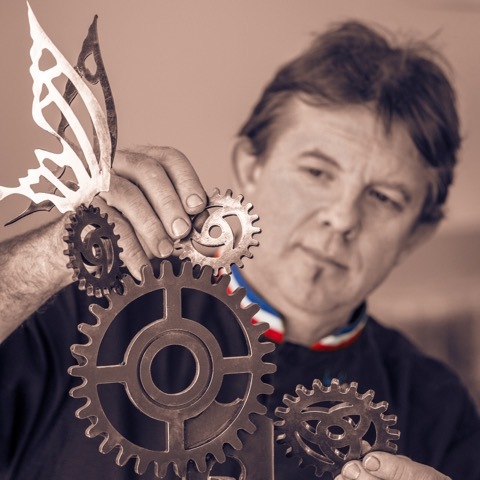 In 2001 Stéphane sold his patisserie in order to devote more time to teaching and to pursue his lifetime dream of achieving the title of M.O.F., (Meilleur Ouvrier de France) “Best Craftman in France” which he achieved in 2004. The title of M.O.F. is the highest honor given by the President of France to a professional in an individual trade. Stéphane is currently the owner of The Pastry School in Costa Mesa, California where he teaches the art of pastry, confection and more. 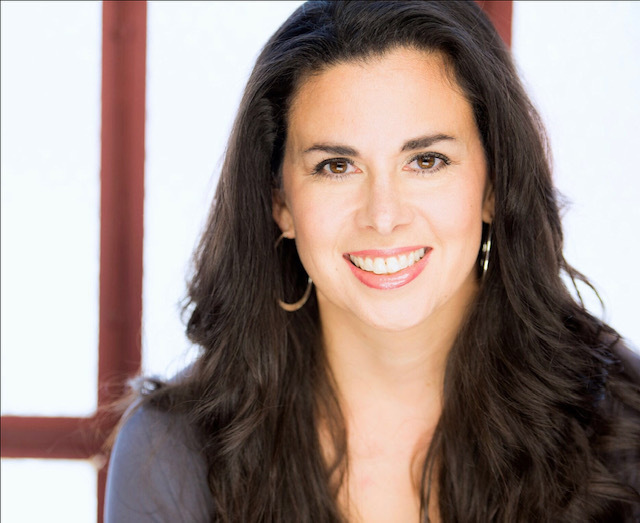 Alicia Boada is an acclaimed pastry chef and instructor with 20 + years of experience in the culinary industry. She has served as the President of WCR-Women Chefs & Restaurateurs, a National Organization and is the West Coast Technical Advisor for Barry Callebaut Chocolate whose brands include Cacao Barry, Callebaut and Mona Lisa, amongst more. As a Corporate Pastry Chef & Chocolatier, her role often calls on her to do demonstrations and training worldwide keeping her on the edge of what’s happening in the contemporary pastry and chocolate world. Boada holds many certifications making her a true professional. She is a member of the American Culinary Federation (ACF), which has confirmed her as a Certified Executive Pastry Chef, a Certified Culinary Administrator and a Certified Culinary Educator. Only a few people possess all three certifications. Boada is also the founder of the Jean Banchet Awards for Culinary Excellence in Chicago which can be compared to the “Academy Awards” of Chicago’s culinary scene. Her early pastry and high-end cake businesses, Edible Work of Art and Platinum Desserts received critical acclaim from the press — she was nominated Female Entrepreneur of the Year by Victoria Magazine and Chicago Magazine named her best custom cakes in the “Best of Chicago” edition. Dr. Nat Bletter, co founder and flavormeister of Madre Chocolate, has 15 years of experience in botany, documenting exotic fruits and vegetables, gathering food in the wild, herbal and traditional medicine, and exploring Asia, South America, Central America, and Africa. He has a Ph.D. in Ethnobotany from the City University of New York and New York Botanical Garden, where he researched medicinal plants of Peru, Mali, and the Guatemalan Mayans, ethnobotany, taste-modifying plants, and stimulant plants such as cacao, which has spurred him to start a traditional-ingredient, high-antioxidant, artisinal chocolate company Madre Chocolate. He will co-lead a culinary, medicinal plant, and music tour in Bali where he has spent many months exploring the landscape, music, fruits, food and medicine since 1994. He now works at University of Hawai’i Manoa researching plants and migration in Thailand and Laos, and making chocolate from scratch. Eli Isele, Assistant Extension Agent for sustainable edible crops production, based at the Komohana Research and Education Center in Hilo. Eli has nine years of experience as a commercial producer, 2 years of which were in Hawaii working with macadamia. Eli currently works with organic and sustainable growers of edible crops, including, but not limited to, macadamia, cacao, ulu, taro, and vegetables. on Hawaii Island. 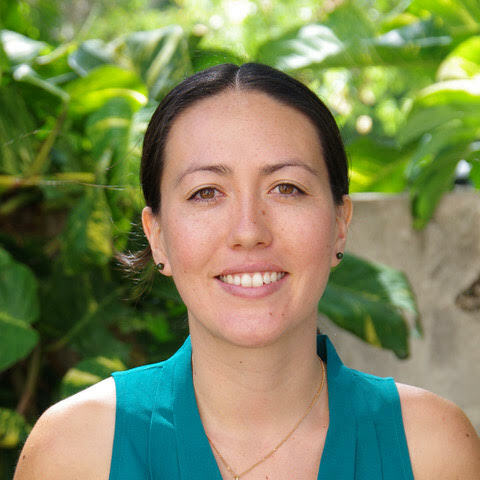 Dr. Alyssa Cho is the Assistant Researcher in sustainbable farming systems with an emphasis in tropical fruit and nut production with the Tropical Plant and Soil Sciences Department at the University of Hawaii at Manao. Dr. Cho is based at the Komohana Research and Extension Center in Hilo. Her research focuses on sustainable management of tropical fruits and nuts using collaborative teams and applied research. Dr. Cho works closely with growers and industry organizations in developing her research and extension program. Dr. Cho currently has several research program. Dr. Cho currently has several research projects on cacao, including post harvest handling and processing, propagation and varietal evaluation. Chef Brown has been a pastry professional for the last 40 years. His current position is Chef Instructor in the Culinary Arts program, and his discipline is Patisserie and Confiserie. He has been a member of the faculty for the last 10 years. In addition to his primary teaching responsibilities, he has co-coached the K.C.C. Student Competition team for the last 8 years. 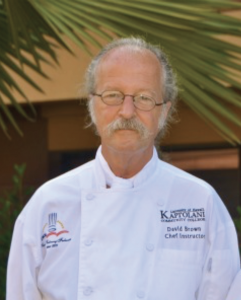 Prior the coming to K.C.C., Chef Brown was the chef/owner of a restaurant in the Waikoloa Beach Resort on the Big Island of Hawaii. . For the nearly twenty years before his restaurant, he was the Executive Pastry chef of the Hilton Waikoloa Beach Resort. During this time, Chef Brown was a competitor in National and International Culinary Salons. His success in these competitions earned him a spot on the 1993 U.S. Coupe du Monde event in Lyon France.